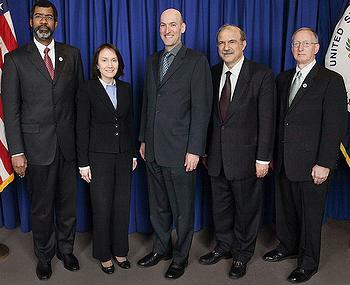 WASHINGTON, DC, February 28, 2012 (ENS) – The Union of Concerned Scientists has documented 15 “near-misses” at 13 U.S. nuclear plants during 2011 and evaluates the response of the Nuclear Regulatory Commission to each event in a report released today. The second in an annual series of reports, “The NRC and Nuclear Power Plant Safety 2011 Report: Living on Borrowed Time” details 15 special inspections launched by the federal agency in response to problems with safety equipment, security shortcomings, and other troubling events at nuclear power plants. 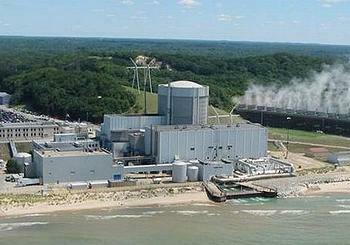 The overview is provided by David Lochbaum, the director of UCS’s Nuclear Safety Project. He worked at U.S. nuclear plants for 17 years and was a boiling water reactor technology instructor for the Nuclear Regulatory Commission. “While none of the safety problems in 2011 caused harm to plant employees or the public, their frequency – more than one per month – is high for a mature industry,” Lochbaum writes. In the 40 years that the Union of Concerned Scientists has evaluated safety at U.S. nuclear power plants, “We have repeatedly found that NRC enforcement of safety regulations is not timely, consistent or effective,” the report states. The UCS says its findings match those of the agency’s internal assessments, as well as of independent agents such as the NRC’s Office of Inspector General and the federal Government Accountability Office, which is the investigative arm of Congress. Many of these 15 “near misses” occurred because reactor owners either tolerated known safety problems or took inadequate measures to correct them, Lochbaum finds. For example, the owner of the Oconee nuclear plant in South Carolina installed a backup reactor core cooling system in 1983. However, in 2011 – more than a quarter-century later – workers discovered a problem with the system that would have rendered it useless in an accident. In addition to “near misses” at these three nuclear plants, 12 others are documented in the report. At Callaway in Jefferson City, Missouri, operated by Union Electric Co., routine testing of an emergency pump intended to prove that it was capable of performing its safety functions during an accident actually degraded the pump. The pump’s manufacturer recommended against running the pump at low speeds, but this recommendation was ignored during the tests. 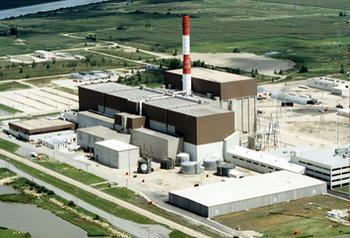 At Cooper in Nebraska City, Nebraska, operated by the Nebraska Public Power District, workers replacing detectors used to monitor the reactor core during low-power conditions were exposed to high levels of radiation when they deviated from the prescribed procedure. At Millstone Unit 2 in Waterford, Connecticut, operated by Dominion, despite a dry run of an infrequently performed test on the control room simulator and other precautionary measures, errors during the actual test produced an unexpected and uncontrolled increase in the reactor’s power level. At North Anna in Richmond, Virginia, operated by Dominion, an earthquake of greater magnitude than the plant was designed to withstand caused both reactors to automatically shut down from full power. At Palisades in South Haven, Michigan, operated by Entergy, when a pump used to provide cooling water to emergency equipment failed in September 2009 because of stress corrosion cracking of recently installed parts, workers replaced the parts with identical parts. The replacement parts failed again in 2011, disabling one of three pumps. Also at Palisades, workers troubleshooting faulty indicator lights showing the position of the emergency airlock door inadvertently shut off power to roughly half the instruments and controls in the main control room. 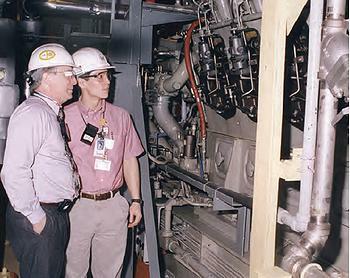 The loss of control power triggered the automatic shutdown of the reactor and complicated operators’ response. At Perry in Cleveland, Ohio, operated by FirstEnergy, problems during the replacement of a detector used to monitor the reactor core during low-power conditions exposed workers to potentially high levels of radiation. At Pilgrim in Plymouth, Massachusetts, operated by Entergy, security problems prompted the NRC to conduct a special inspection. Details of the problems, their causes, and their fixes are not publicly available. Also at Pilgrim, when restarting the reactor after a refueling outage, workers overreacted to indications that the water inside the reactor was heating up too rapidly, and lost control of the reactor. The plant’s safety systems automatically kicked in to shut down the reactor. At Turkey Point Unit 3 in Miami, Florida, operated by Florida Power and Light Co., a valve failure stopped the flow of cooling water to equipment, including the reactor coolant pump motors and the cooling system for the spent fuel pool. At Wolf Creek in Burlington, Kansas, operated by the Wolf Creek Nuclear Operating Co., workers overlooked numerous signs that gas had leaked into the piping of safety systems, impairing the performance of pumps and flow-control valves. The report also cites instances when onsite NRC inspectors made “outstanding catches of safety problems” at the Fort Calhoun, Hatch, and LaSalle nuclear plants before these impairments led to events that required special inspections, or to major accidents. At the LaSalle plant in Illinois, owned and operated by Exelon, NRC inspectors challenged operators’ practice of leaving a test tank partially filled with water. Safety studies of what would happen at the plant during an earthquake assumed that this tank would be empty, because workers were supposed to fill it with water only during infrequent testing. NRC inspectors questioned whether the weight of the water in the tank could cause it to collapse or topple during an earthquake. After an analysis confirmed their suspicions, workers at LaSalle drained the tank and revised procedures to keep it empty except during testing. The NRC’s catch at LaSalle led workers at the Duane Arnold nuclear plant in Iowa operated by NextEra Energy Resources to discover and correct the same problem. While Lochbaum praises the NRC for catching these specific problems, he is critical of more generalized agency policies. “The NRC’s insistence that 47 reactors are safe enough to continue operating despite their continued failure to comply with fire protection regulations does not stand up to legal or ethical scrutiny,” he writes in the report. Each nuclear plant periodically undergoes component design basis inspections, or CDBIs, to ensure that owners are operating and maintaining their reactors within specifications approved during design and licensing. In 2011, NRC inspectors identified numerous problems with reactor safety components and operating procedures during CDBIs, Lochbaum points out. Some of the problems concerned containment vent valves, battery power sources, and emergency diesel generators – components that affected the severity of the March 2011 disaster at Tokyo Electric Power Co’s Fukushima Daiichi nuclear plant in Japan. “While it was good that the NRC identified these problems, each CDBI audits only a very small sample of possible trouble spots,” writes Lochbaum. For example, the CDBI at the Harris nuclear plant in North Carolina examined just 31 safety-related items among literally thousands of candidates. That audit found 10 problems. For its part, the industry is taking steps to bolster safety conditions at the nation’s 104 operating nuclear power plants. The initiative commits every company operating a nuclear energy facility to order or enter into contract for a plant-specific list of emergency equipment by March 31. The equipment ranges from diesel-driven pumps and electric generators to ventilation fans, hoses, fittings, cables and communications gear. It includes support materials for emergency responders, including food, water and other supplies. The equipment will supplement emergency equipment acquired by the industry in recent months and after the 9/11 terrorist attacks to help facilities safely respond to large fires and explosions. “The additional portable equipment will provide power and water to maintain three key safety functions in the absence of AC power and heat transfer capability from permanently installed safety systems,” said Tony Pietrangelo, the Nuclear Energy Institute’s senior vice president and chief nuclear officer. The three functions to be maintained are reactor core cooling, used fuel pool cooling and containment integrity. Pietrangelo said the new equipment will be stored at diverse locations and protected to ensure that it can be used if other systems that comprise a facility’s multi-layered safety strategy are compromised.